At True Believers 2018 we'll be celebrating 80 years of The Man Of Steel, with an exclusive and limited edition Superman True Believer lanyard, featuring this fantastic artwork by the awesome Jack Lawrence. Not only is Superman a hugely important figure in the world of comics and the superhero genre, but he's also a favourite here in the True Believers Cave (and the reason why at least one of us fell in love with comics). We're delighted that Jack is again providing the artwork for the True Believer Lanyard, following up his 2016 Harley Quinn and 2017 Deadpool Lanyard with this exclusive Superman. As with the previous years lanyards, it's strictly limited edition and is only available for a limited time with all tickets bought from our Ticket Page. This year saw the first True Believers Design A Lanyard Competition, which saw several budding artists put pencil to paper (or the digital alternative) and create some awesome entries. After some deliberation and with the help of our judges, we are delighted to announce (and show) the winning entries to this years competition. The winning designs will be assigned to their respective lanyards (Guest, Small Press, Exhibitor, Trader & Press) at a later date and will be revealed at the event. We'd like to thank everyone who took the time to enter the competition and support the event. The entries were judged by Stuart Mulrain (TBCF co-founder & organiser), Andy Hanks (TBCF co-founder & graphic designer), Alex Thomas (Pipedream Comics), Jon Laight (Level 8 Comics & creator of Brethren Born) and Olly MacNamee (comic journalist & teacher). As part of our ongoing mission to get people drawing, this September we will be launching the first True Believers SKETCHTEMBER! (No connection to Inktober, promise) and we want you to get involved. Both Stuart and Andy have decided to sharpen their pencils and are attempting to produce a drawing for every day of September - that’s 30 drawings in 30 days! And because that’s not difficult enough (!) the drawings will be Themed! Andy has decided to do 30 drawings of his character ‘Zoot’ (its about time he learn’t how to draw him properly…), and Stuart has decided on marking the 25th Anniversary of 'Batman the Animated Series’ for his 30 draws. They will be posting each image up daily on the TBCF Facebook page and are putting out the call to all the artistic bods out there who fancy a challenge and feel like taking part too! Whether you want to come up with a theme over the 30 days or just do some free sketching, we'd love to see what you create. 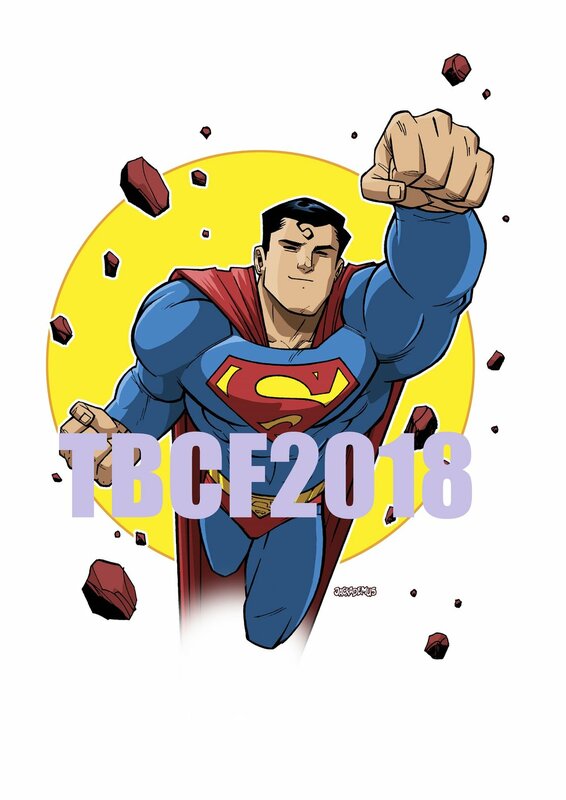 We'll be putting a post up everyday on the Facebook page so you can post your work in the comments, or if you prefer to post on Twitter or Instagram please use the hashtag #TBCFsketchtember so we can see what you've created. We have a few things going on at the Summer Variant Edition that you might fancy heading along to. To help you plan your day, here's the list of what's going on and when. And remember, if you haven't bought your tickets yet, get them HERE before it's too late. Join Jay, Dave & Liam for their first panel, as they talk about creating King Legacy, their journey to get issue 1 made, what we can look forward to next and maybe even answer some of your questions too. This workshop will take a look at the difference between how you approach cosplaying as a character who is good or one who is bad (or one who is a little of both). Join our Celebrate Cosplay team as they talk about the mindset of approaching these characters and offer some posing suggestions that best fit the side you’re on! Life drawing classes are a hugely popular tool for artists looking to hone their skills, with several top names in comics talking about how useful they are. For our session though, we're going a little different and will have a cosplayer posing for artists to draw, so whether you're a seasoned artist or an occassional doodler, this life drawing session is perfect for you to come and have some fun and try something new. Paper and Pencils will be provided on the day, or you can bring your own supplies if you prefer. Join us for the first official Celebrate Cosplay group photo. If you'd like to be a part of the photo, please be in the Courtyard at 2pm. The Celebrate Cosplay team take a look at how cosplay can inspire, challenge and get your creative minds buzzing in a workshop that invites cosplayers new and old to get involved and share their wisdom and passion for cosplaying in a fun for all workshop all about loving cosplay! We will also have a table in the North Range, where our Draw Something Sunday Jam Piece will be. This will be there throughout the event, so if you fancy adding something to the piece, head over to the table. The piece is open to all ages (so please keep your drawings family friendly) and abilities and we'd love to see as many of you involved as possible. With the #TBCF2017: Summer Variant Edition mere days away, we take a look at some of the folks who will have tables at the event. For our sixth Meet The Tables, we're going to take a look at some more of the Artists tables and introduce you to I Am Zoot, Matilda Dawes, Mango Dragon and Nick Gribbon. I Am Zoot! a graphic designer and artist with an unhealthy obsession with robots. I have a tendency to tell a story in one picture rather than a strip and will often start a piece of work with pencil and paper before moving to a digital media, where it can take me between 20 – 25 hours to paint up. I’m a True Believers Regular, and I will be selling my art prints, canvases and greetings cards on the day. I am an illustrator with a range of different subjects, and a sketchy naturalistic sort of style. I will be selling prints of my work, postcards, stickers and badges, as well as accepting commissions. I really enjoyed the last True Believers and can't wait for this one! Two sisters who love hand crafting items for the geek community. We will be selling hand painted fans, greeting cards and prints designed by ourselves, handmade oven gloves and handmade soy and gel candles. Dead All Over - Pop culture illustration inspired by movies/comic books/tv. Original artwork, sketch cover comic books, and prints. The Dark Wood - Self published hand made books created using tradiobal art techniques including woodcut print, letterpress, screenprint, and bookbinding. Plus original wildlife artwork, prints, greetings cards, and badges. With the #TBCF2017: Summer Variant Edition mere days away, we take a look at some of the folks who will have tables at the event. For our fifth Meet The Tables, we're going to take a look at some more of the Small Press tables and introduce you to Beyond The Bunker, Pipedream Comics, Time Bomb Comics and The Psychedelic Journal (more info on pictures). Beyond the Bunker represents the creators of the MOON series of comics . The comics are sold together with associated prints and posters. Pipedream Comics is a website dedicated to the best of indie and small press comics, featuring news, reviews and interviews with some of the indie scene's most exciting creators. We are also the publishers of indie comics fanzine The Pull List which will have a new print issue available on the day. Now in its 10th year of publishing Time Bomb Comics brings the acclaimed Flintlock historical anthology series to True Believers. Set in the 18th Century Flintlock features diverse characters in a shared timeline. The ultimate psychedelic small press comic anthology. Tales of the bizarre, the inexplicable and the outright batnads insane! With the #TBCF2017: Summer Variant Edition mere days away, we take a look at some of the folks who will have tables at the event. For our fourth Meet The Tables, we're going to take a look at some of the trader tables and introduce you to Marvelous Man, Proud Lion, Square Orange Games and TTT Gifts (more info on pictures). 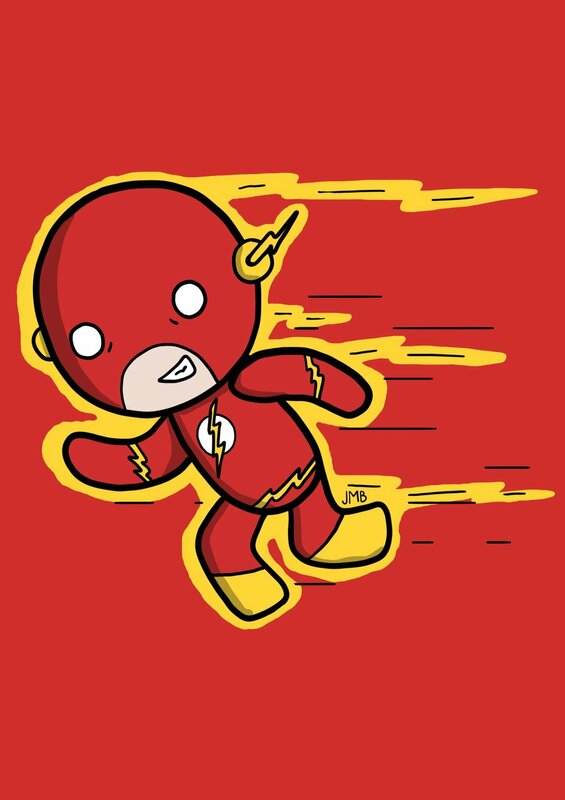 Officially licensed sellers of all things comic book related from apparel and snapbacks to bags and wallets/ purses - satisfying your inner geek! Proud Lion is Cheltenham's premier comic and gaming shop, owned and operated by PL Horizons Ltd. Proud Lion was founded by Ben Fardon (Managing Director) in 2008. Ben has been a comic collector since he was young, with his early interests including Iron Man, Transformers, Batman Knightfall and Claremont & Lee's X-Men. After working in comic book retail for several years, he decided it was time to open his own shop in the heart of Cheltenham. Proud Lion celebrated its grand opening on Free Comic Book Day in 2008, and has been a hub for fans of both mainstream and indie comics ever since. In recent years, Proud Lion has grown to become a family business, with Ben's partner Rae Hurley coming on board to expand gaming in the shop. She fell in love with board games with the discovery of Small World, and has been an avid gamer ever since. Now she regularly runs demo days, open play nights, RPG sessions, and tournaments to encourage other gamers to share her obsession. Square Orange Games are an independent retailer of tabletop board and card games, selling great games at great prices. I'm a local Gloucester girl who has been trading full time since December 2014. I sell gothic gifts, superhero merch, incense and manic panic hair dye. Chris is a self taught graphite artist from Cardiff living with Asperger Syndrome. Since leaving school at the age of 14 he has forged his way as a photo realistic artist and has produced artwork for the worlds number 1 dart player Michael Van Gerwen and Raymond Van Barneveld. Even before I can remember, I loved to draw. I was a bit of a lonely child at first but as long as I had a stack of paper and a pencil i could create whole universes, helping me now as an illustrator fabricating ideas or twisting the normal into something marvelous. For longest of times art became second to everything else because where I lived it was all sports and TV. But it never went away and I found it again aged 24 and started my education in art. I'm an independent artist who specialises in digital and traditional artwork! I prefer a fantasy high contrast style but have quite a range of styles. I'll be selling prints and other merch! With the #TBCF2017: Summer Variant Edition mere days away, we take a look at some of the folks who will have tables at the event. For our second Meet The Tables allow us to introduce Andy Bloor, Stuart & Leon from The Inheretic and Jay, Dave & Liam from King Legacy! (More info on the photos). Graphic designer and part time comic creator. I'll be selling copies of the acclaimed 'Midnight Man', 'Andy-Thology' and the popular "Wolfmen' comics. Plus prints and original art. The Inheretic are Stuart Jackson and Leon Reichel creators of The Inheretic a 128 page full colour sci fi thriller and Lollipop & Ten a 32 page full colour steampunk fantasy. King Legacy follows the life of Liam, an 18year old janitor in Vegas, after he encounters a Space-Warrior-King with muddy boots in a hallway. It has been created by Green Crayon Comics; Jay, Dave and Liam. With our powers combined we're like a giant Japanese themed combination robot!!! We'll be hosting not one, but two Celebrate Cosplay Workshops at the the TBCF: Summer Event! If you haven't bought your tickets to the event yet, head to our Ticket Page now. For those of you who have been following us on Facebook, you've probably seen the Draw Something Sunday online drawing project we've been running for the last couple of months on the Facebook Page (if you're not familiar with it, check out the Gallery for more information). As the Summer Variant Edition falls on a Sunday, we'll be putting on a Draw Something Sunday Jam Piece on the day. What's that you ask? Well, basically we'll have a big roll of paper laid out on a table ready for anyone who fancies drawing a picture on it on the day. It's that simple. The jam piece is open to everyone to take part in (all we ask is that you keep the drawings of a family friendly nature - we are an all ages event after all) and help us to create something awesome. The True Believers Comic Festival: Summer Variant Edition will take place at Blackfriars Priory in Gloucester on Sunday 20th August 2017 and tickets can be bought from our Ticket Page or on the door at the event (price may vary on the door). We're delighted to announce that our second panel at the TBCF: Summer Variant Edition will be Creating Comics with Robin Etherington (Long Gone Don), Sarah Millman (Heart Of Time) & Nick Prolix (The Sheep and The Wolves). The panel will be at 2pm on Sunday 20th August 2017. If you haven't bought your tickets yet, head to our Ticket Page now to buy yours and join us for a great day of nerdy comic book fun. And you can find more of Robin, Sarah and Nick at their tables in the North Range or online by clicking on their names. For those planning on joining us at the True Believers Summer Variant Edition this August, here's the table plan of who will be where. The North Range is full of Small Press Comics and Back Issue sellers (I know, comics at a comic con! ), while the South Range is home to artists and traders (selling Tabletop Games and merch etc). If you're missing the feel of a local con in the style of Melksham Comic Con this summer, then why not check it out? There are comics, panels, workshops and more, all in the fantastic setting of a medieval priory! You can find out more info on the event here, on who is behind the tables here and you can buy your tickets here! We're delighted to announce that the fantastic Sam Webster has joined our TBCF2018 Charity Comic (working title) and will be providing a story featuring his character Claris from his comic series Unfamiliar Skies. As well as Unfamiliar Skies, Sam is also the creative brains behind the comic series Joe Cape, Arcadia and also the host of his comic themed YouTube series Monday Musings and Fan Art Friday. You can find the original announcement of the charity comic and who else is involved HERE and we'll be announcing more details on the project - including the title - as we have them. 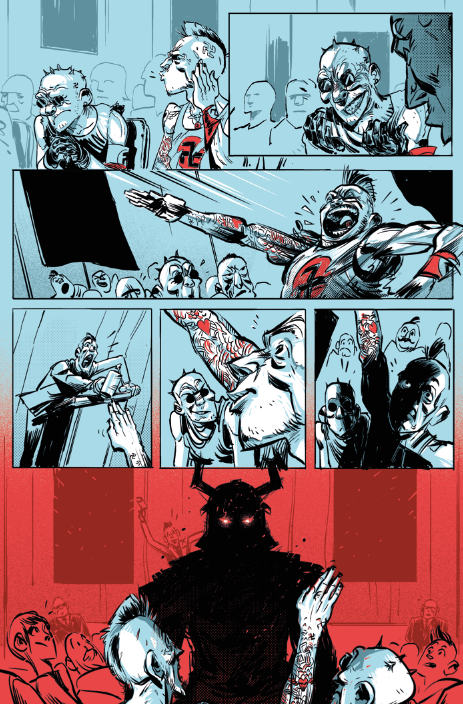 You can also find more of Sam online at his website and in person at True Believers 2018. 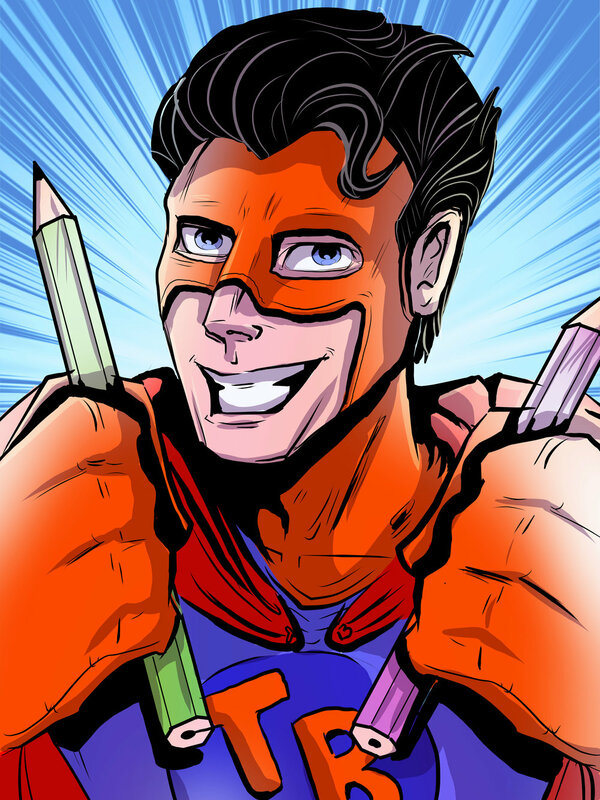 We are delighted to announce that the first panel at the True Believers Summer Variant Event will be another in our Discover Something New series and will this time feature the team behind the award winning comic King Legacy. The panel will be at 12pm on Sunday 20th August 2017. If you haven't bought your tickets yet, head to our Ticket Page now to buy yours and join us for a great day of nerdy comic book fun. And you can find more King Legacy at their table in the main hall on the day or on their Facebook Page. To celebrate the release of Spider-Man Homecoming and the forthcoming True Believers Summer Variant Event, we're holding a special competition, with the above prizes up for grabs. To be in with a chance of winning our Spidey Prize Bundle - which includes a Spider-Man (Homemade Costume) & Vulture Funko Pop! and a DVD of the Original Spider-Man Cartoon (the 60's one) Season 1 & 2 - all you have to do is buy your tickets to the TBCF Summer Variant Event before midnight on Saturday 8th July 2017 (so if you've already bought your tickets you've already entered). Your name will be entered into the draw for each ticket that you buy and the draw will be made (and the winner announced) on Sunday 9th July 2017. So if you're planning on coming to the summer event and haven't bought your tickets yet, why not head to our Ticket Page and buy yours now. Tickets are just £5 each (with under 13's getting in for free) and at least £1 from every ticket sold will go to the Sue Ryder Leckhampton Court Hospice, so not only are you buying a ticket to an awesome event and getting the chance to win some Spidey stuff, but you're also doing your bit to help an awesome cause as well! - To be in with a chance of winning, tickets must be purchased by midnight on Saturday 8th July 2017. - This competition is open to UK residents only. - Your name will be entered into the prize draw for each ticket you buy. - The winning name will be drawn on Sunday 9th July 2017 and the winner will be contacted via email on the same day. - The prizes will posted to the winner. We're delighted to welcome the fantastic Kev Hopgood as our guest at True Believers Comic Festival 2018. Kev's comic book career began in the 1980's working on Tharg's Future Shock, Judge Dredd and Night Zero (which he co-created) for 2000AD, Spider-Man & Zoids and Action Force for Marvel UK. In the early 1990's he became the main artist on Marvel Comics Iron Man, where he co-created the character of War Machine.